Should you take supplements to lower blood pressure? Research suggests that certain key nutritional supplements can be very helpful in the management of high blood pressure. High blood pressure, or hypertension, is a very prevalent condition which affects many people around the world. 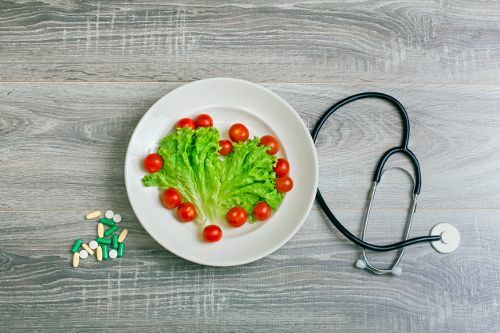 Although high blood pressure is a disease involving many different factors, including lifestyle dynamics, genetics, and environmental factors, this disorder responds well to nutritional supplementation. Here are the top supplements to manage hypertension. Magnesium is a mineral which plays an important role in the regulation of cellular metabolism. Magnesium lowers blood pressure by directly acting upon the smooth muscle cells which enclose your arteries. This mineral can enter into the smooth muscle cells of your arteries and cause the cells to relax. When this occurs, your arteries will widen and the blood pressure within will subsequently drop. Magnesium is a very safe supplement to take, at dosages between 300 to 500 milligrams (mg) per day. Quite frequently, magnesium supplements are combined with calcium for a combined effect, which is perfectly fine. This nutrient, also known as ubiquinone, is found in many types of food. Coenzyme Q10 is essential for the proper function of your cells, which use the antioxidant to produce the energy necessary for their health and growth. Adding coenzyme Q10 to your diet can help alleviate high blood pressure. A review of 12 clinical studies concluded that coenzyme Q10 could lower the blood pressure of participants (by up to 17 mm Hg for systolic pressure and up to 10 mm Hg for diastolic) with no major side effects. No standard dose of coenzyme Q10, or coQ10, has been established. Experts suggest more studies with larger groups to narrow the correct dosage required. In the meantime, the common daily dosage of coQ10 to lower blood pressure ranges from 100 to 200 mg. These unique types of essential fats must be consumed in our diet because our body is not capable of manufacturing them. The omega-3 fatty acids are found in high concentrations in oily fish, seal, and krill. These fats decrease blood pressure by decreasing the inflammation and blood-clotting tendency within the artery. They also help preserve an enzyme known as nitric oxide, which can help relax the artery walls. The recommended daily dosage is one to three grams (g) of fish oil per day, with food. Potassium helps promote proper functioning of the muscles, including the walls of the blood vessels. When constricted, the walls force the pressure of the blood flow to increase. For this reason, many use supplements with potassium to lower blood pressure. Clinical research indicates a link between an increase in blood pressure and a lack of potassium in the body. Studies also show that high blood pressure has been lowered by increasing intake of potassium supplements. Caution is needed with certain medications and health conditions as potassium levels may be lowered to harmful levels. Excessive intake of potassium may also cause medical issues. Saving these cases, the recommended dosage for males and females over the age of 50 is 4.7 g daily. In addition to developing and strengthening bones, calcium also controls the contracting of blood vessels. This allows for regulation of the levels of blood pressure. A regular diet lacking sufficient calcium may cause blood pressure to rise. In some cases, high blood pressure patients who are elderly, menopausal, diabetic, salt-sensitive, or African-American require calcium supplements. You may be able to manage your blood pressure levels by consuming the recommended daily allowance of 1,000 to 1,200 mg for men over 50 years of age and 1,200 mg for women over 50. Garlic has been used for centuries to treat infections, high cholesterol, and high blood pressure. It may be one of the best supplements to lower blood pressure naturally. Garlic reduces blood pressure by decreasing instances of blood clotting and the degree of inflammation inside the artery. Experts recommend a daily supplement of aged garlic extract, which is equivalent to a four-gram serving of fresh garlic. Vitamin C has many uses in our body for many different chemical reactions. This vitamin is responsible for relaxing the inside lining of the artery. This process directly leads to a decrease in blood pressure because vitamin C stimulates the secretion of nitrous oxide from the inner wall of the artery. Nitrous oxide causes the smooth muscle cells of the artery wall to relax, thus lowering blood pressure. Vitamin C can be taken quite safely in dosages of one to three grams per day. Vitamin E has been proven to decrease both the systolic and diastolic levels of blood pressure in clinical studies. This may be due to the ability of vitamin E to also stimulate nitric oxide production. As mentioned, this process can lead to reduced pressure by forcing the muscle walls of the blood vessels to relax. The recommended daily allowance dosage of 15 mg may initially cause a small rise in blood pressure levels, which is a temporary reaction. Cocoa has been used for centuries to address cardiovascular diseases. Studies show that cocoa produces short-term but effective results in reducing high blood pressure. It contains antioxidants known as flavonoids, which appear to help release tension in the blood vessels. Cocoa is reported to be beneficial for lowering blood pressure at a daily dosage of 46 to 105 g.
Conjugated linoleic acid is a common omega-6 fatty acid that may work with a medication called ramipril to lower blood pressure in a unique arrangement. There are 28 various forms of this type of fatty acid. While many animal studies illustrate the blood pressure-lowering effects of the acid, the same effect has not been well-studied in humans. Caution is advised with the use of this acid as it could drop your blood pressure too quickly or to excessively low levels. Recommended amounts range from one to three grams daily. Research indicates that you could better control your high blood pressure by drinking milk that has been fermented with lactic acid bacteria. Fermented milk contains properties that stimulate the vasoconstrictor angiotensin II while suppressing vasodilator bradykinin. These antihypertensive effects result in lowering high blood pressure levels. The antioxidants known as flaxseeds have been shown in studies to lower high blood pressure levels. As a powerful lignan source, flaxseeds are thought to hinder production of oxylipins, which can cause blood pressure to increase. One important study showed positive results with the daily dose of 30 g over a period of six months. Ground or crushed flaxseeds allow for better digestion of the medicinal properties. Known as vitamin B9, folic acid is used for conditions such as anemia, pregnancy, and high blood pressure. A study published in the Journal of the American Medical Association suggests that the positive results of using folic acid are based on the boost in blood circulation due to the relaxation of the blood vessels. The dosing recommendation is based on the amounts used in studies to reduce the risk of high blood pressure, which is 1,000 mg per day. The polyphenol antioxidants in green tea are associated with a lower risk of obesity, diabetes, Alzheimer’s disease, and high blood pressure. This form of tea is also used for its anti-aging components. For high blood pressure, in a systematic review published in the British Journal of Nutrition, green tea was shown to offer positive results over long-term use. This review analyzed 25 randomized control trials in which participants used green tea for more than 12 weeks. Systolic pressure was lower by 2.6 mmHg, while diastolic pressure was lower by 2.2 mmHg. According to the authors, this could lower the risk of stroke, coronary artery disease mortality, and all-cause mortality. Green tea has also been shown to increase blood pressure slightly for a temporary period of time. This rise in pressure has not produced lasting negative effects. The recommended amount for regulating blood pressure is three to four cups of green tea each day. The fiber known as guar gum comes from the seed of a guar plant. It has been proven to reduce blood pressure levels in those with high blood pressure when taken with every meal. A study published in 1987 is still used as a baseline for measuring the effectiveness of guar gum on blood pressure. In the short-term, after two weeks’ use, mildly high pressure levels dropped. The study involved moderately obese men. The amino acid L-arginine works as a vasodilator, which can help reduce high blood pressure levels. Its production is dependent on protein consumption. Clinical studies have produced conflicting results with the oral use of L-arginine for high blood pressure. The studies show positive effects on lowering blood pressure in healthy, hypertensive, and mildly hypertensive populations, but caution against daily use as more long-term research is required. Melatonin is a hormone naturally produced by your body that controls sleep patterns. It is traditionally used in supplement form for sleep troubles such as insomnia. The antioxidant has also offered positive results in lowering high blood pressure. An analysis of several clinical studies, published in the Vascular Health and Risk Management journal in 2011, suggested that melatonin supplements are more effective for blood pressure regulation at night, when many experience a natural drop in pressure. Those with natural drops, also called nocturnal dips, have a lower rate of death from cardiovascular events. Issues arose with the combination of melatonin and prescribed blood pressure medication such as beta-blockers. Talk to your doctor before taking any melatonin supplement, as your blood pressure could drop to dangerous levels. The Japanese cheese dish called natto offers the enzyme nattokinase, which is an anti-clotting source. It supports your body’s natural anti-coagulating enzyme known as plasmin. Thick and inflamed blood can also lead to hypertension. Since your plasmin levels lower with age, supplementing with nattokinase is often used to help reduce high blood pressure naturally. In fact, one study suggests that nattokinase not only works as a treatment, but it could also be used to prevent high blood pressure in pre-hypertensive patients. The Hypertension Research journal published the eight-week study. Pressed olives produce olive oil, which contains polyphenols that may help treat and possibly prevent high blood pressure. Of the various forms of olive oil, cold-pressed extra virgin olive oil (the least processed) produces optimal results, according to several studies involving men and women of all age ranges. A study published in Clinical Nutrition in 2004 found that using olive oil over a four-week period lowered high blood pressure levels in a group of elderly patients. This same study also reported a decrease in blood pressure levels in those not treated for the condition. Also known as pyridoxal phosphate, vitamin B6 promotes fluid balance and strengthens red blood cells. It may be used to prevent high blood pressure, as well as to lower existing high levels. As a water-soluble vitamin, vitamin B6 has been shown in studies to work to gradually lower blood pressure over time. Results are based on the use of vitamin B6 in conjunction with other B vitamins such as B9 and B12. High blood pressure is a silent killer for many as notable signs and symptoms are unclear, and can be non-existent for years. Blood pressure levels that are persistently too high are commonly treated with prescription medication. But there are supplements that could potentially enhance or complement the medication. The above vitamins, minerals, enzymes, and foods are widely considered to be the best supplements for high blood pressure. However, any supplement use should be monitored by your doctor, as your blood pressure levels may fall too quickly or too low. Is Garlic Good for High Blood Pressure? “Coenzyme Q10 (CoQ10): In Depth,” National Center for Complementary and Integrative Health; https://nccih.nih.gov/health/supplements/coq10, last accessed January 4, 2018. “High Blood Pressure Alternative Treatments,” Healthline; http://www.umm.edu/health/medical/altmed/supplement/coenzyme-q10, last accessed January 4, 2018.“Key minerals to help control blood pressure,” Harvard Health Publishing Harvard Medical School; https://www.health.harvard.edu/heart-health/key-minerals-to-help-control-blood-pressure, last accessed January 5, 2018. “Potassium lowers blood pressure,” Harvard Health Publishing Harvard Medical School,https://www.health.harvard.edu/heart-health/potassium-lowers-blood-pressure, last accessed January 5, 2018. Boshtam, M., et al., “Vitamin E can reduce blood pressure in mild hypertensives” International Journal for Vitamin and Nutrition Research, Oct. 2002, 72(5):309-14; https://www.ncbi.nlm.nih.gov/pubmed/12463106 (https://doi.org/10.1024/0300-9831.72.5.309),, last accessed January 5, 2018. Kannall, E., “Vitamin E & High Blood Pressure,” Livestrong, October 3, 2017; https://www.livestrong.com/article/301209-vitamin-e-high-blood-pressure/, last accessed January 5, 2018. “Cocoa,” WebMD;https://www.webmd.com/vitamins-supplements/ingredientmono-812-COCOA.aspx?activeIngredientId=812&activeIngredientName=COCOA&source=0, last accessed January 5, 2018. “Cocoa flavanols lower blood pressure and increase blood vessel function in healthy people,” ScienceDaily, September 10, 2015;https://www.sciencedaily.com/releases/2015/09/150910110832.htm, last accessed January 5, 2018. Hardy, L., “How Much CLA Should I Take Daily?” Livestrong, August 14, 2017; https://www.livestrong.com/article/475393-how-much-cla-should-i-take-daily/, last accessed January 5, 2018. Zhao, W., et al., “Conjugated linoleic acid supplementation enhances antihypertensive effect of ramipril in Chinese patients with obesity-related hypertension,” American Journal of Hypertension, June 2009; 22(6): 680-6; https://www.ncbi.nlm.nih.gov/pubmed/19300423, last accessed January 8, 2018. Dong, J., et al, “Effect of probiotic fermented milk on blood pressure: a meta-analysis of randomised controlled trials,” British Journal of Nutrition, 2013; 110(7): 1188-1194; https://www.ncbi.nlm.nih.gov/pubmedhealth/PMH0058045/, last accessed January 8, 2018. Fisk, M., “Does Flaxseed Lower Blood Pressure?” Livestrong, August 14, 2017; https://www.livestrong.com/article/381711-does-flaxseed-lower-blood-pressure/, last accessed January 8, 2018. “Flaxseed Lowers A High Blood Pressure,” Dr. Sarah Brewer, October 1, 2016; https://drsarahbrewer.com/how-flaxseed-can-lower-your-blood-pressure, last accessed January 8, 2018. “Folic Acid May Fight High Blood Pressure,” WebMD, January 18, 2005; https://www.webmd.com/food-recipes/news/20050118/folic-acid-may-fight-high-blood-pressure#1, last accessed January 8, 2018. Calabro, S., “Herbs and Supplements for Hypertension,” Everyday Health; https://www.everydayhealth.com/hypertension/herbs-and-supplements-for-hypertension.aspx, last accessed January 8, 2018. Peng, X., et al., “Effect of green tea consumption on blood pressure: A meta-analysis of 13 randomized controlled trials,” Scientific Reports, September 2014, 4:6251; https://www.ncbi.nlm.nih.gov/pmc/articles/PMC4150247/, (https://dx.doi.org/10.1038%2Fsrep06251), last accessed January 8, 2018. “Green Tea Helps Lower Blood Pressure, and Much More…”, Mercola, November 3, 2014; https://articles.mercola.com/sites/articles/archive/2014/11/03/green-tea-helps-lower-blood-pressure.aspx, last accessed January 8, 2018. Krotkiewski, M., “Effect of guar gum on the arterial blood pressure,” Acta Medica Scandinavica, 1987, 222(1):43-9; https://www.ncbi.nlm.nih.gov/pubmed/3630778, last accessed January 8, 2018. Sheps, S.G., MD, “L-arginine: Does it lower blood pressure?” Mayo Clinic; https://www.mayoclinic.org/diseases-conditions/high-blood-pressure/expert-answers/l-arginine/faq-20058052, last accessed January 8, 2018. Garrett, M., “L-Arginine and Blood Pressure,” Livestrong, October 3, 2017; https://www.livestrong.com/article/376152-l-arginine-and-blood-pressure/, last accessed January 8, 2018. Gokce, N., “L-arginine and hypertension,” The Journal of Nutrition, Oct. 2014, 134(10 Suppl):2807S-2811S; https://www.ncbi.nlm.nih.gov/pubmed/15465790, last accessed January 8, 2018. Jacques, E., “Melatonin for High Blood Pressure,” Livestrong, August 14, 2017; https://www.livestrong.com/article/490339-melatonin-for-high-blood-pressure/, last accessed January 8, 2017. Kim, J., et al., “Effects of Nattokinase on blood pressure: a randomized, controlled trial,” Hypertension Research, Aug. 2008, 31(8):1583-8; https://www.ncbi.nlm.nih.gov/pubmed/18971533, (https://doi.org/10.1291/hypres.31.1583), last accessed January 9, 2018. “Nattokinase: Powerful Enzyme Prevents Heart Attack and Stroke, Smart Publications; http://www.smart-publications.com/articles/nattokinase-powerful-enzyme-prevents-heart-attack-and-stroke, last accessed January 9, 2018. Sinatra, S.,“Lower Your Blood Pressure Naturally with Nattokinase,” Dr. Sinatra; https://www.drsinatra.com/lower-your-blood-pressure-naturally-with-nattokinase, last accessed January 9, 2018. Martinez, E., “How to Take Virgin Olive Oil for Health Reasons,” Livestrong, October 3, 2017; https://www.livestrong.com/article/327785-how-to-take-virgin-olive-oil-for-health-reasons/, last accessed January 9, 2018. Hopkinson, A., “B-Complex Vitamins: How its Positive Effects Control Blood Pressure,” Health Central; https://www.healthcentral.com/article/bcomplex-vitamins-how-its-positive-effects-control-blood-pressure, last accessed January 9, 2018. “5 Best Vitamins To Treat High Blood Pressure,” Search Home Remedy; http://www.searchhomeremedy.com/5-best-vitamins-to-treat-high-blood-pressure/, last accessed January 9, 2018. “Vitamins & Supplements Center,” WebMD; https://www.webmd.com/vitamins-supplements/condition-1280/hypertension, last accessed January 9, 2018. Volpe, S.L., “Magnesium in disease prevention and overall health,” Adv Nutr. May 1, 2013; 4(3): 378S-83S. Mikhin, V.P., et al., [Application of coenzyme Q(10) in combination therapy of arterial hypertension], Kardiologiia 2011; 51(6): 26-31. Ulu, A., et al., “Anti-inflammatory Effects of Omega-3 Polyunsaturated Fatty Acids and Soluble Epoxide Hydrolase Inhibitors in Angiotensin-II Dependent Hypertension,” J Cardiovasc Pharmacol. May 14, 2013, published online ahead of print. Nakasone, Y., et al., “Effect of a traditional Japanese garlic preparation on blood pressure in prehypertensive and mildly hypertensive adults,” Exp Ther Med. February 2013; 5(2): 399-405. Taddei, S., et al., “Vitamin C Improves Endothelium-Dependent Vasodilation by Restoring Nitric Oxide Activity in Essential Hypertension,” Circulation 1998; 97: 2222-2229.